Estate Planning Self Examination Checkup: Power of Attorney - Davison, Eastman, Muñoz, Lederman & Paone, P.A. 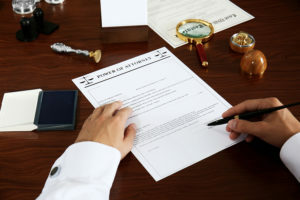 A power of attorney is a written document that enables an individual, known as a “Principal” to designate another person, known as an “Agent” or an “Attorney in Fact,” to act on behalf of the Principal. The general purpose of a power of attorney is to permit the Agent to act on behalf of the Principal in financial matters and general decision making other than health care. A similar document called a health care proxy provides for designation of an Agent for health care purposes. The scope of a power of attorney (“POA”) can vary. It can be limited or it can be quite broad. The POA can be effective immediately or upon the occurrence of an event such as disability. The empowerment of the Agent under the POA is very broad and should take into account all of the latest amendments to the local power of attorney law as well as any IRS rulings or cases that have come to the attention of the draftsman. Special powers of attorney can be utilized for individual transactions such as a particular real estate transaction or for caring of a minor on behalf of the parents if the parents are away for a short or prolonged period of time. A POA must provide specific language for issues such as authorization to act for the Principal before the IRS, to handle retirement assets or to provide Medicaid planning. Nevertheless, the more detailed and broadly crafted, the more likely the Agent will be authorized to act on all of the issues that may confront a Principal. In addition to the breadth of the POA, an additional issue often discussed is whether or not the power of attorney is a durable power of attorney. By “durable,” we mean the power of attorney remains in effect whether or not the Principal becomes incapacitated or disabled, either temporarily or permanently. In fact, where a Principal is concerned about authorizing an Agent while the Principal is capable of acting, we often provide that the power of attorney will not even come into effect until the Principal has in fact been declared disabled by two (2) doctors or has declared himself/herself to be disabled. This is sometimes referred to as a “springing” POA. As in the case of the selection of any fiduciary, choosing an Agent for a POA is a personal decision. Nevertheless, we recommend that the person to be selected be competent, trustworthy, willing to take on the burdens of a Principal’s affairs and financially secure in their own right so as to not be tempted by the Principal’s assets. In the absence of a durable POA, an incapacitated person will need a guardian appointed by a court. The appointment of a guardian is a legal proceeding which requires the testimony of at least two (2) doctors and the appointment of an independent counsel. All the costs of the court proceeding are paid by the Principal. The cost can be several thousand dollars depending on the length and breadth of the case. On the other hand, a good durable POA should cost less than $400.00. One other issue that individuals do not think about with respect to a POA is having a power of attorney prepared for your recently emancipated child. Once a child reaches the age of 18, they are considered to be an adult. As a result, you may not act on behalf of your child any further. We recommend the execution of a power of attorney upon the child obtaining the age of 18. This would also permit you, the one who may be paying for the college education, to review grades and participate in any discussions with a university or college. It also makes for a useful birthday present. To learn more about POAs for young adults, click here. The POA is an essential tool in the planning tool box, but like a will, it can only be signed when one is competent. Waiting for the day it may be needed could be too late as it leaves the designation of the guardian in the hands of strangers and the court. As in the case of all estate planning documents, one should act when there is no pressing need for the document. Early preparation allows for clear thinking and analysis without the pressure of an emergency. Like insurance, having the POA in place before you need it is the proper approach. Author: Robert F. Munoz, Esq. A founding partner of the firm, Bob Muñoz chairs the firm’s Tax and Estate Planning Department, with a focus on Municipal, Land Use, Tax and Business Law and Litigation. 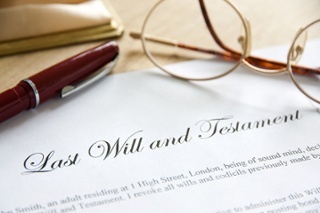 He provides advice and services to individuals seeking to plan their estates utilizing wills, trusts, powers of attorney, living wills and health care proxies. Bob utilizes his Master of Laws degree in tax to help clients minimize their potential tax exposure.